Social Impact Award BIH is a worldwide program created to support young innovators in building social enterprises that find solutions to the most challenging issues of our time – Social Entrepreneurship. 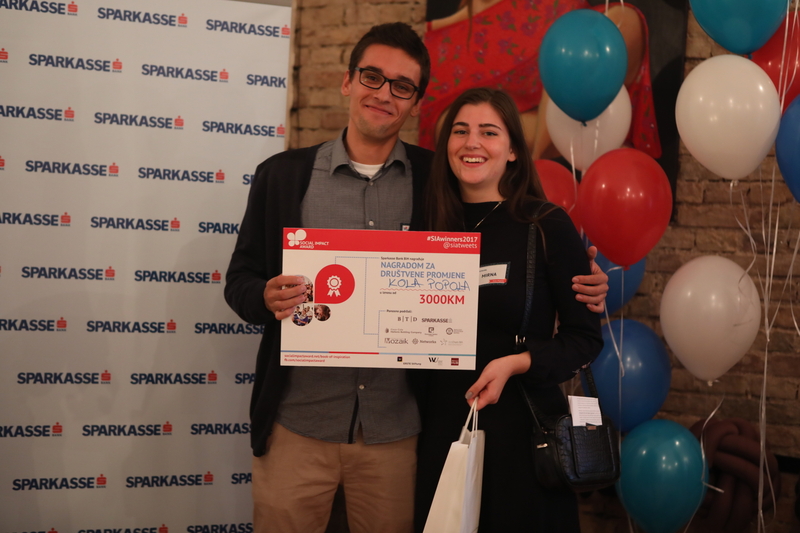 Three student teams are awarded a mentorship support, participation at annual SIA Summit and a total budget of 4.500 EUR, with the support from Sparkasse Bank B&H. This program is promoting the knowledge and practice of social entrepreneurship among students, offering an educational program, giving access to networks of peers & professionals and by directly supporting the most promising ventures. Propulsion Fund is the local coordinator in Montenegro, Kosovo and Bosnia and Herzegovina.